Another year has flown by and is coming to a close, so it’s time to reflect back and see where I’ve come from, what I have achieved, and where I’m headed. 2017 started off slowly on the creative side of things, I have spent the year at home with my wee little newborn Toby (now 1) and sprouting little young man Oscar who’s four. Needless to say, I’ve been very busy, but as always I’ve managed to find time to myself to get my craft on. Most of my crafting time this year was spent working towards my very first market stall, something I have been wanting to do for a very long time. An opportunity arose to have a market stall at the ‘Mythical Markets’ which as the name suggests, has a mythical theme. This is it! And to make matters even more amazing the market was to be held in Ferny Creek, at the exact location I got married, naw! AND to top all that off even more, I’d just finished ‘The Faery in the Key Cabinet’ WHICH the story is based in.. *drum roll*..
Now if that’s not the universe working it’s weird magic and guiding me I don’t know what is. Then, due to severe weather warnings, the market ended up being postponed. But all is well! It has been rescheduled for January 27th so I have more time to make more lovely things! If you are interested in attending, please follow the link here for more information. Speaking of, here’s a snippet of my collection so far.. There seems to be a bit of an unusual, weird, old, oddity type theme happening here.. so I’m going with that and called me shop ‘Curiouser and Curiouser’ curious things for curious souls. 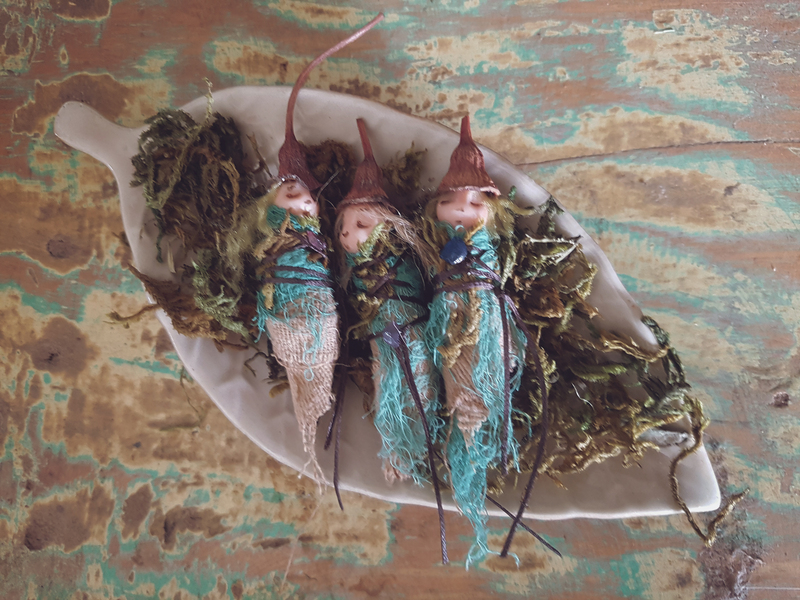 I’ve made lots of faery specimens, 11 in total. I also made heaps of gemstone bracelets, oil diffuser bracelets, faery wing earrings, hanging toadstools, dream catchers, faery artifacts, bottles of curious things, butterfly hair clips.. the list goes on! Basically I’ve been living my dream making all the things and it has been pretty bloody brilliant. I intend to do this lots more in 2018. And keep my Etsy shop well stocked, at least I will try! One of the faery specimens I started over a year ago, it is an interactive artwork called ‘The Faery in the Key Cabinet’. As mentioned earlier, it has a background story based in Ferny Creek. This piece is a mystery: how did the faery get there? Who put her there? And where are they now? There’s a secret code to show you where the hidden key is to open the door, inside you will find letters and clues to help you piece the story together. This piece will be on display and also be part of the Faery Quest event happening at the Mythical Markets on the day. I also started yet another hobby earlier in the year.. yes another.. soap making! Starting simple I bought a melt and pour soap making kit and a variety of essential oils to play with. Oh yeah. Good smelly fun. I had a play around and I’m still learning but hopefully next year I’ll give it a go making soap from scratch. For a beginner though, melt and pour is a good starting point. The event was a huge success and I was absolutely thrilled to come 2nd place in the People’s choice awards for my 10” bear and an Honorable mention 4th place for little Totem! Wow! Both bears sold raising $297 between them for the Australian AIDS Council, so I’m pretty stoked about that. I completed 7 paintings, 2 of which were very tiny. Painting has become risky business with little people around and painting at night isn’t doing my eyesight any favours, so I haven’t been able to paint as much as I’d like. Shluggy and Snap Dragon were both painted for the Dark Crystal Character Competition held towards the end of the year. I didn’t have much time to work on my entry but I was happy I managed to enter something. Characters had to come with a background story, below is my complete entry. Winners are yet to be announced, and the winner may see their character in the upcoming Dark Crystal TV series! Phew.. I really have been busy. But wait, there’s more.. I was honoured to be the photographer at 3 weddings in 2017. It’s really something else being able to document such a special day, I feel so privileged to have the opportunity to do so. I love weddings! And just when I thought I couldn’t cram anything more into what has been a fairly productive year, I whipped up some more Karma Stars just in time for Christmas. Thanks to all my amazing friends and followers, I sold just enough to cover the costs of donating a water well to a small village in rural Cambodia – a fundraiser I started last year and was able to complete this year! In total we raised $475 which is incredible! That’s enough to build the well, cover transfer fees and anything left over will remain with the Cambodian Buddhism Association for Vulnerable Children. The above image is for a well my sister and I donated last year, so you can see what it will look like. Yes there is a slight error in the spelling of my name, which I think is hilarious but they did fix it up so it no longer says ‘Rebella’, not that I mind! Overall it has been a very productive year and the highlight has been donating the well for sure. 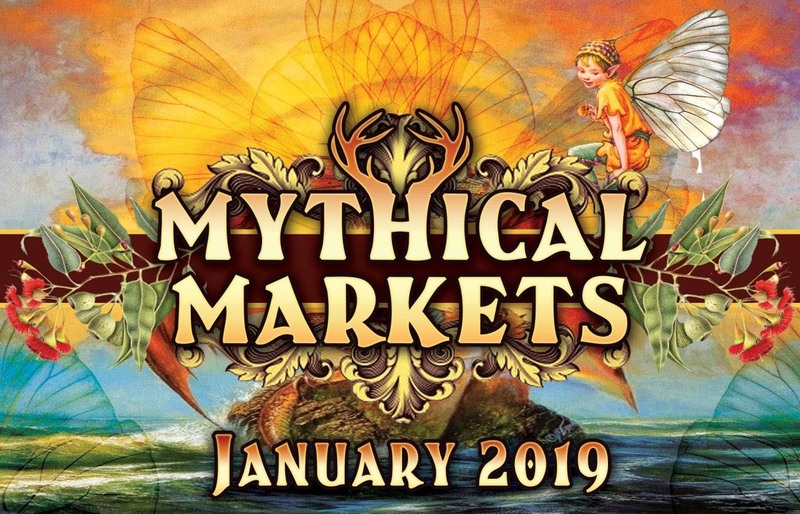 I’m so looking forward to the Mythical Markets being held on the 27th of January in Ferny Creek, what a way to start my crafty adventures for 2018! Perhaps I’ll see you there?